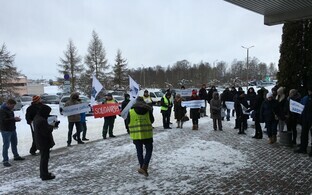 The strike of employees at a Rakvere meatpacking plant of foodstuffs producer HKScan started on Tuesday at 7:30 a.m. At least 40 union members are taking part in it, while according to CEO of HKScan Estonia Anne Mere, just 23 workers joined the strike on Tuesday morning. 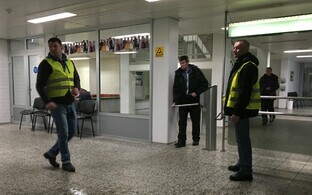 The employees want basic salaries of the slaughterhouse workers to be raised by 16 percent effective Feb. 1, and by another 16 percent effective July 1. 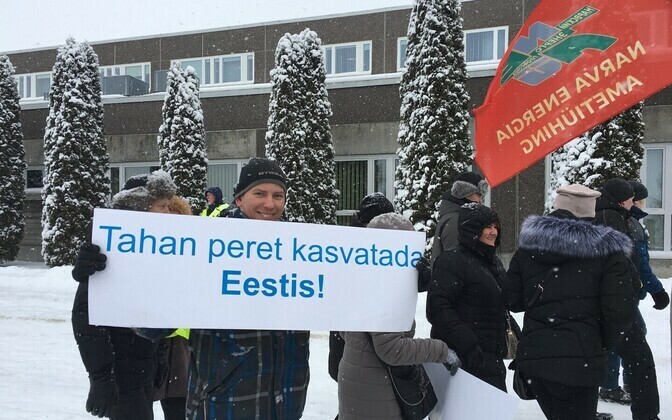 In addition the employees are demanding that the calculation of performance wages isn't changed. Wage negotiations were discontinued earlier as the employer did not agree to make any specific wage offers. 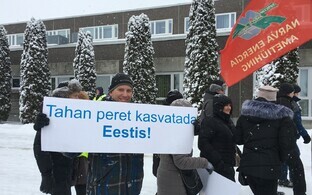 The strike continued in the afternoon. 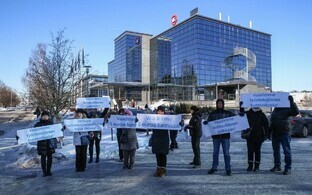 Last October 27 of the 64 employees of the slaughterhouse interrupted their work to demand higher wages. As a result, three employees were fired. The sides in the work dispute have also turned to the state's public conciliator, but the latter hasn't been able to settle the dispute.